On behalf of the staff here at SDREB, we'd like to thank all of the administrators that work at all of our Brokerage Offices, for all you do on a daily basis. 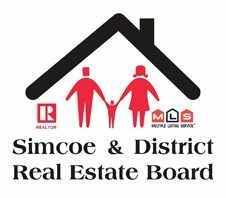 The 2019 Norfolk County Realtor® Trade Show is quickly approaching. The Trade Show will take place on Thursday May 9th at the Vittoria & District Community Centre. This Trade Show is open to all Licensed Realtors® and public. Realtor® Entrance: $15 and includes Lunch, Trade Show and opportunity to register for 2 learning sessions. Public Entrance: $2.00 and includes the Trade Show ONLY. 12:30 p.m. to 3:30 p.m. No registration required.